Providing the right plants in your garden is essential if you want to attract and support the widest variety of wildlife to your patch. 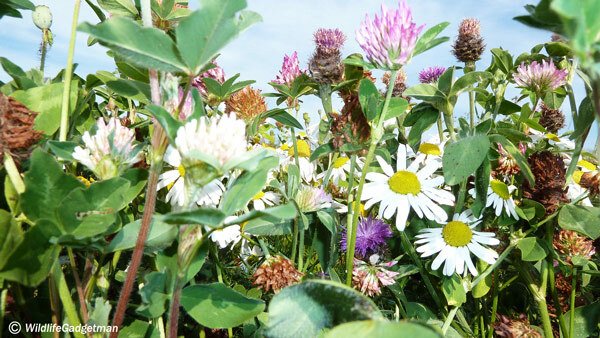 Growing wild flowers from seed can be a little challenging but there are lots of things you can do to make it a little easier. Native wild flowers are an integral part of many of the projects I’m creating for #ProjectWildPatch and I’ll be sharing lots of hints, tips and tricks to help you grow your own vibrant wild flower patch in next to no time. SEEDBALL is run by Project MAYA, a non-profit eco-social enterprise working to build a global network of reserves. Based on the principals of permaculture, these reserves will represent nature in balance, with space for wildflowers, wildlife, food growing and fun! All profits from SEEDBALL are used towards funding MAYA reserves and other Project MAYA eco activities to help make the world a better, happier, and more sustainable place. ‘Since the Second World War, the UK has lost 97% of its native wildflower habitats. These meadows used to be managed for hay-making and grazing, and were hubs of rich biodiversity, bursting with native plants, insects and animals. This once invaluable feature of our countryside is now a rarity, with wildflower abundance a fraction of what it was. Many of the UK’s wildflowers are in serious decline or endangered, and they need better protection. The main threats to native wildflowers, other than how climate change may affect them, are loss of habitat due to housing and industrial development and the use of agricultural herbicides and insecticides. Restoring wildflower populations is not only important because they are a beautiful component of our native ecosystems, they are also essential for insect pollinators like bees and butterflies. With a little creative thinking, there is yet hope for these important habitats. UK gardens cover about 270,000 hectares – that’s more than all the designated National Nature Reserves combined. And that’s without considering all the balconies and window boxes. All we need to do is to make better use of this available space! I have numerous projects already underway in the Wildlife Gadgetman garden incorporating wild flowers and I’m planning lots more in the local community. 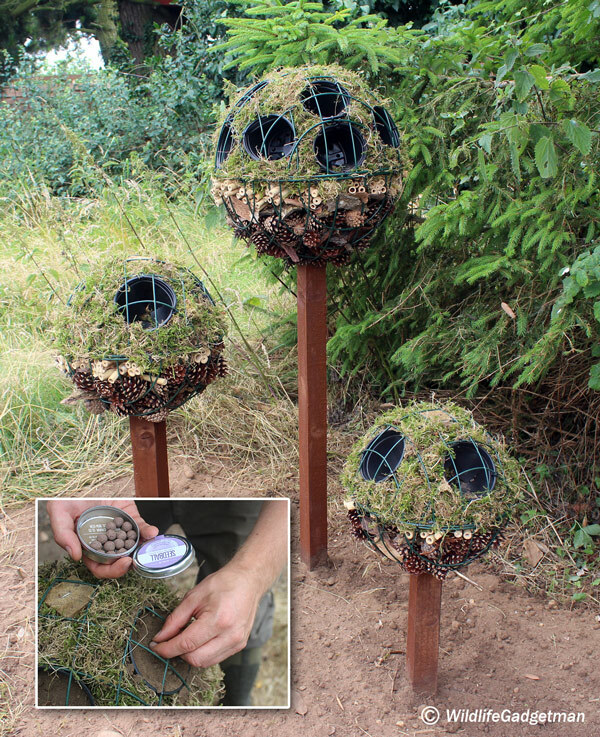 Over the coming weeks I’ll be adding ‘How To’ Guides about creating ‘Bug Hotels‘, my ‘Bug Ball Topiary Trees‘ and several other projects all of which will include ways to incorporate wild flowers. 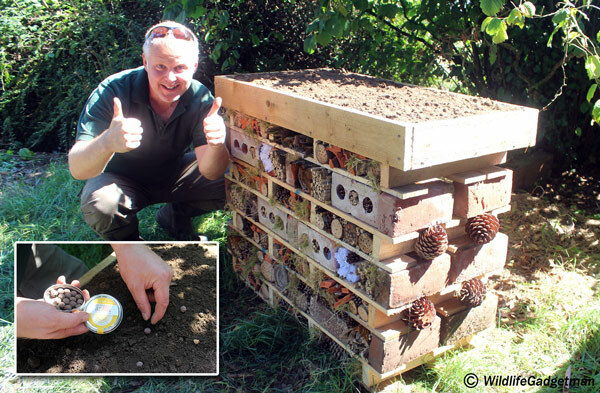 Sowing Seedballs on top of one of my bug hotels. What do you do with the empty Seedball tin? So, once you’ve sowed your seedballs what do you do with the empty tin? 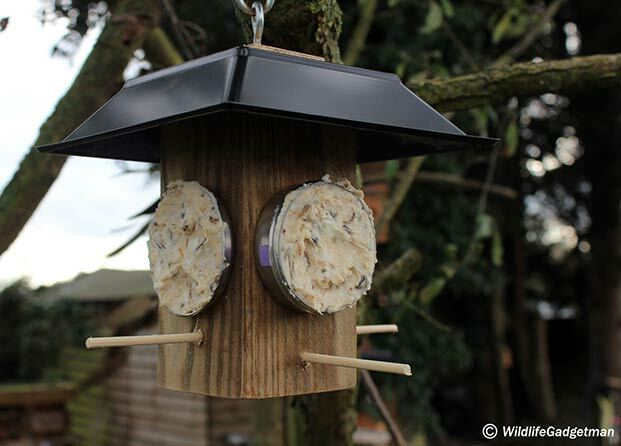 Well, there are lots of uses but one of the best I’ve found is to create a Bird Fat Feeder for your garden! Just click on the image below to go straight to my ‘How To Guide’. Get a FREE tin of Seedballs! For a limited time only I’m offering a FREE tin of Seedballs with every Nest Box Camera and Trail Camera order via my online store. 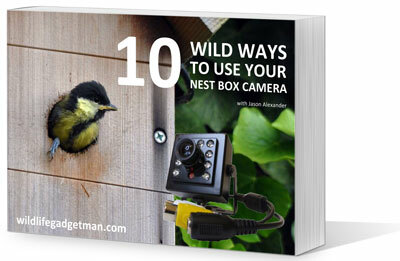 Just click on the image below to go straight to my Wildlife Gadget Store and check out my growing collection of wildlife gadgets, cameras and other wildlife watching equipment.